TIPS 4Y – Sistemas de Informação, Lda. based in Lisbon took over sales and local support for TecRMI in Portugal in July 2015. Susana Barros and Pedro Barros, TIPS 4Y’s managing partners, and their team can boast more than ten years of experience with TecDoc products. In addition to the traditional RMI aftermarket business. TecAlliance also handles the target group of fleets, leasing companies, fleet managers, rent a car companies and vehicle manufacturers, importers and insurance companies in the Fleet & Leasing business field. Claude Lotrian, Director of Sales Western Europe & Latin America, is looking forward to expanding the existing partnership. “TIPS 4Y already knows our company and the products of the various brands. By expanding our partnership, we can now meet the needs of the Portuguese market even better,” Lotrian says. Christian Bergmann, Director of Sales Fleet & Leasing at TecAlliance, also emphasises the importance of a local presence: “Close proximity to the individual customer is the key to success. 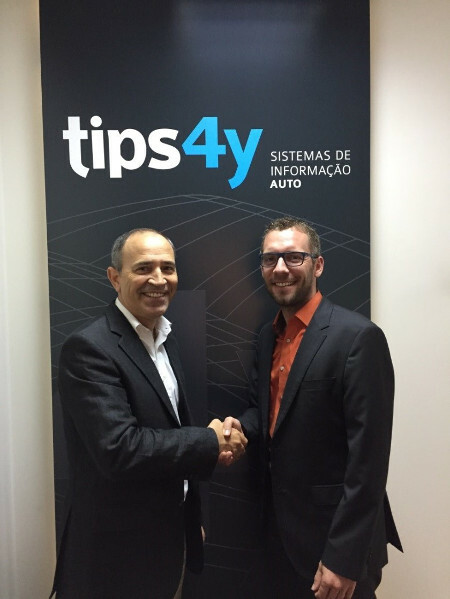 Thanks to TIPS 4Y’s profound aftermarket expertise in Portugal and the growing importance of the aftermarket in the fleet business, we are very happy being able to expand the partnership and move together into the areas of RMI and Fleet & Leasing,” Bergmann said. Pedro Barros, Managing Partner of TIPS 4Y (left) with Christian Bergmann, Director of Sales Fleet & Leasing at TecAlliance.